The all new Vision X.Fir X.Gun is an incredibly innovative VV and VW mod with an amazingly unique design that’s taking the world by storm. Let's point out the obvious; the X.Gun shoots to kill with a handcarved exterior that's the definition of refined craftmanship. 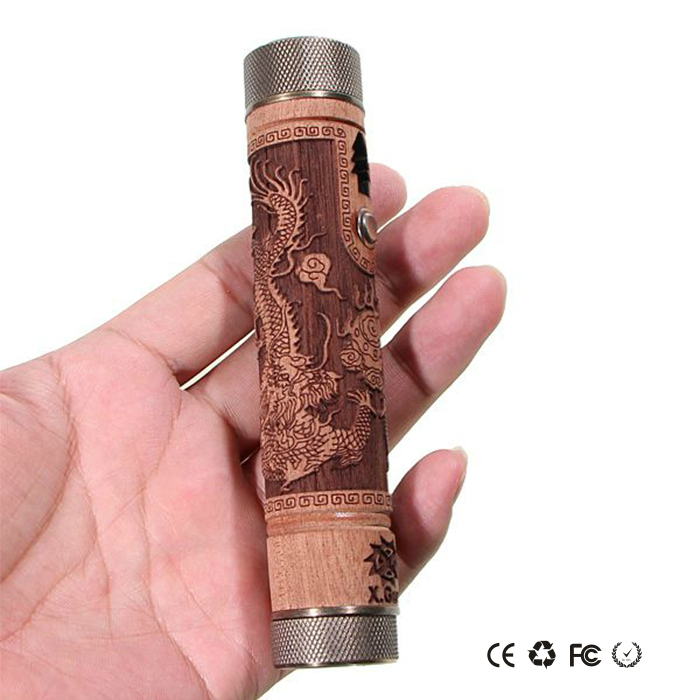 Wood, steel, and copper is so beautifully blended, the X.Gun looks and feels like a portable art show illustrating a traditional Chinese dragon delicately engraved onto the wooden sleeve that gives a magical sense to the touch. 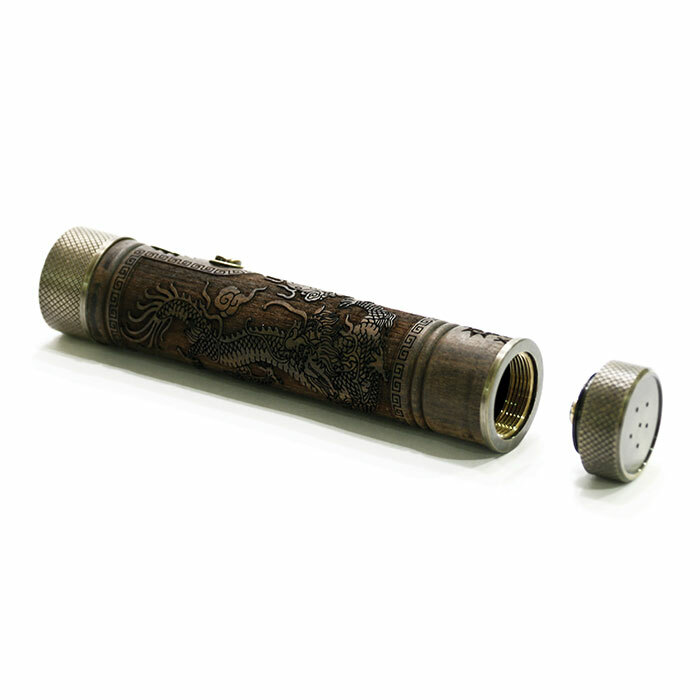 The Vision X.Fir X.Gun integrates the finest of time-honored Chinese artisanship and modern day vaping technologies; this supersexy mod uses standard 18650 batteries so rest assured you’ll never run out of power or admiring looks. 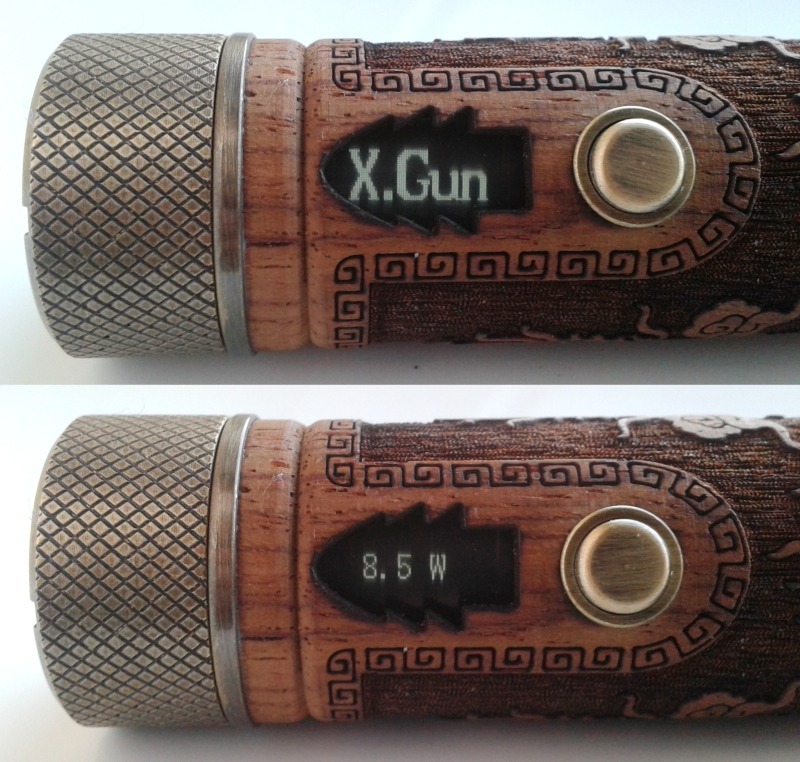 The X.Gun is literally the pinnacle of advanced personal vaporizers (APV) and deservedly so! We could go on and on about how unreservedly awesome the X.Gun looks, feels, comes and goes but we want to give some technical details too. 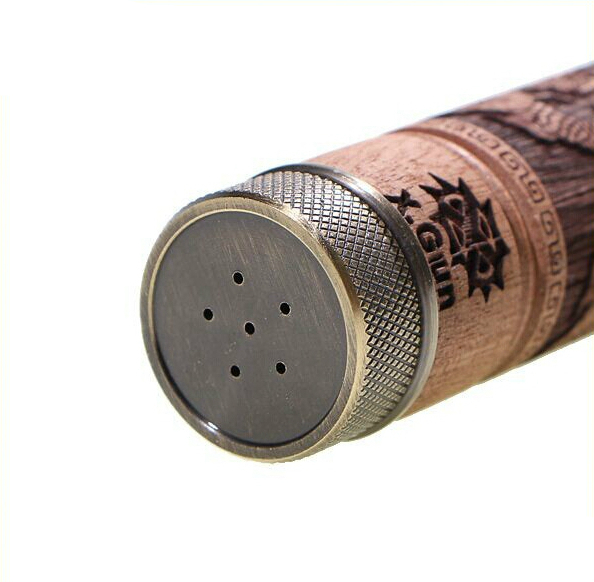 First of all, the top and bottom caps are made from brushed copper with a distinctly aged finishing. 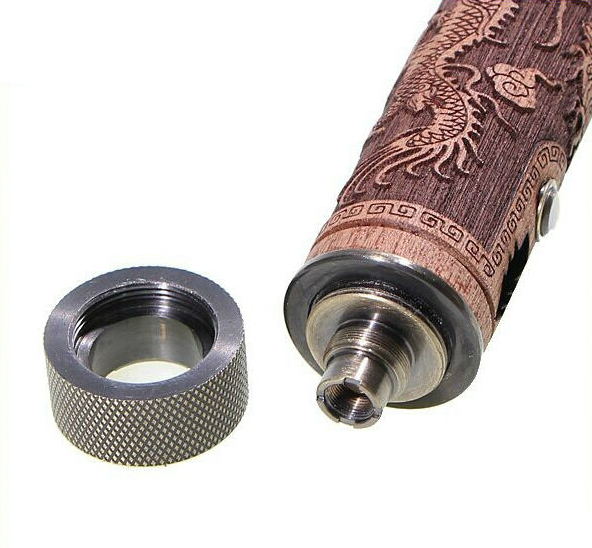 The top cap features airflow grooves and is removable for cleaning and maintenance purposes as well as for using your X.Gun with eGo threaded devices. Perfect from top to bottom, the bottom cap is spring loaded as it should be. Why? So no rattling sound comes from the inner battery. One would think the technology involved here would be super-complicated but no, the X.Gun is a marvel of design and engineering because it sports one single button that lets you control everything about the vape and cooks dinner! The LED button display gives you all the information you need to optimize your vape including voltage, wattage, and resistance levels. The classic term for a battery that vapes exceptionally good is vapes like a beast, well, the X.Gun is a true animal with variable voltage and variable wattage capability that lets you choose between ranges of 3V - 6V and 3W - 12W. Now that is what we call a wild beast! The vapour this battery produces is simply peerless - we have to be honest though, the X.Gun needs an atomizer as brilliant as itself to give optimal vapor performance; if it isn't partnered with an atomizer as awesome as itself, vapour performance will be curbed by the limitations imposed on it by the less-than-optimal-atomizer being used. But if you match the X.Gun with a worthy atomizer, say an Aspire Nautilus or a Kanger Aerotank V2, you'll have to vape with an umbrella because it'll start raining from the huge clouds of juicy vapor you'll be getting! 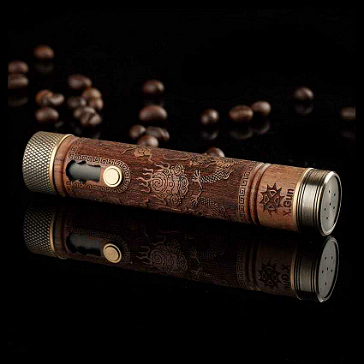 And if you want an atomizer that matches the X.Gun in both power and wooden looks, then there is only one option really - the Vision X.Fir Desire BDC atomizer with matching woodcraft! Aside from redefining vapour performance, the X.Gun proves the precise electrical engineering that went into it with 0.1V increments in voltage and 0.5W increments in wattage - a serious feat by any and all vaping standards! Needless to say, but we will say it, the X.Gun is eGo/510 compatible, includes a beauty ring (adapter), and comes with a booklet that's actually full of useful information. Please scroll down to see a complete list of all the features of the X.Gun but before you do, please note the X.Gun doesn't come with a battery or charger so it could be a good idea to get both if you're considering buying an X.Gun. While the X.Gun uses standard 18650 batteries, we recommend using flat top 18650 batteries to get the best out of your device - please click here for batteries and here for chargers. 2600mAh capacity with 3V - 6V variable voltage and 3W - 12W variable wattage levels; ability to adjust for different vapour amounts and throat hit strengths. 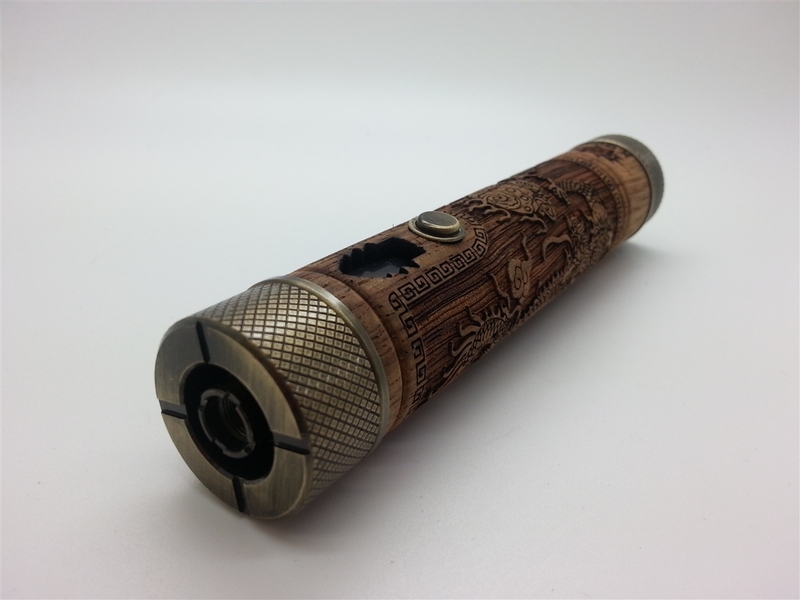 Produces immense clouds of dense, chunky vapour at all voltage and wattage levels given the right atomizer. Truly unique and guaranteed to make you the centre of attention wherever you go. 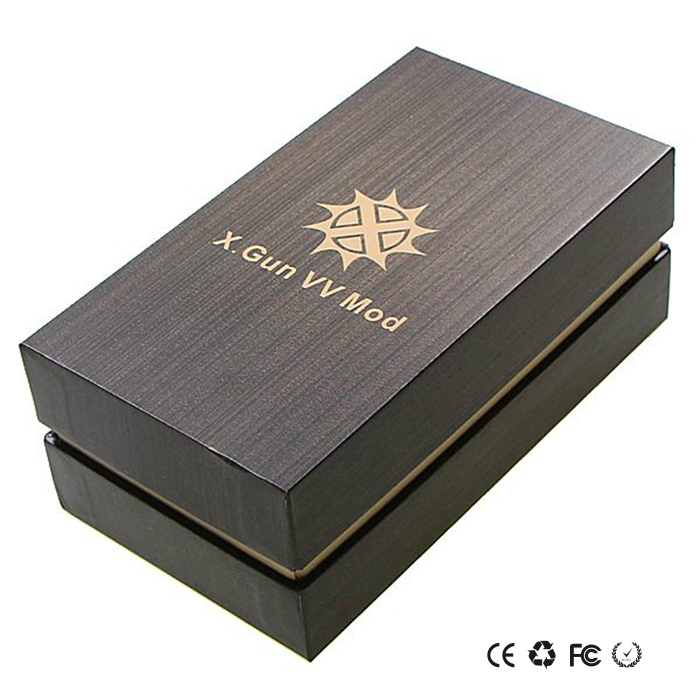 → If you want to get the very best out of the X.Gun, you should seriously consider investing into an Aspire Nautilus, a Kanger Aerotank V2, or an X.Fir Desire. → The X.Gun does NOT include an inner battery or a charger so it could be a good idea to purchase a battery. Please click here for a quality charger..